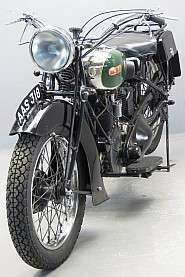 The BSA A10 and Super Rocket was the inevitable result of the relentless drive for more & more horsepower. 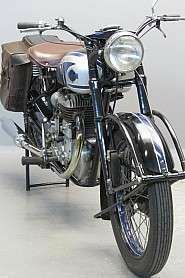 Launched in 1957 the BSA Super Rocket had a new alloy head and an Amal TT carburettor. 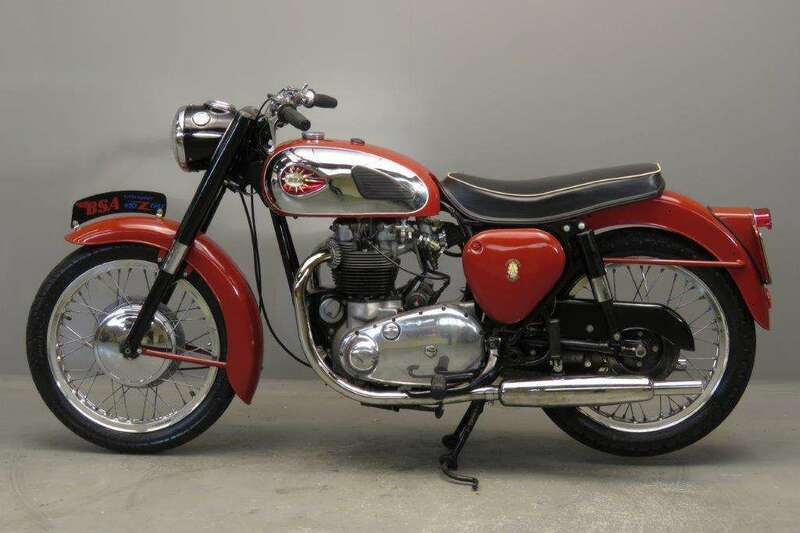 The first BSA A10 to be introduced in 1950 was the BSA 650 Golden Flash, & it ran through until replaced by unit construction in 1963. 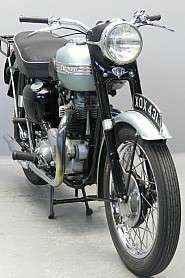 In 1954 they replaced it with the hot new BSA Road Rocket which ran until 1957. 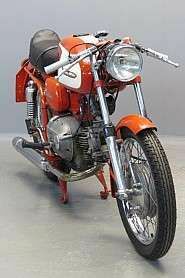 From 1958 to 1963 BSA came out with the A10 Super Rocket complete with Amal TT racing carb and racing camshaft. 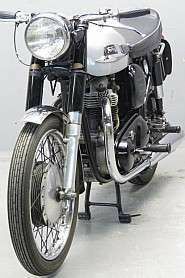 Externally, the BSA A10 and Super Rocket engine looked surprisingly similar to the BSA A7's 500cc engine & was laid out the same way, with one cam behind the cylinder block, driven off the right. 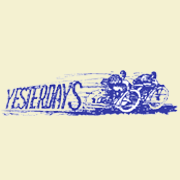 And while they did, in fact, share some components in common, almost everything was different. 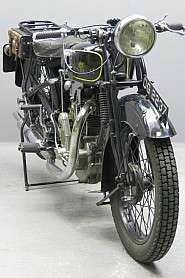 They took the A7's 500cc 62mm bore & 82mm stroke & pushed them out to 70mm X 84mm for a new displacement of 646cc. 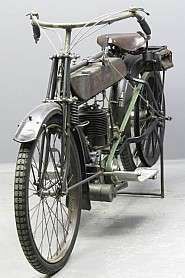 The bore spacing was wider, so the crank was longer, so the crankcases were bigger & stronger. 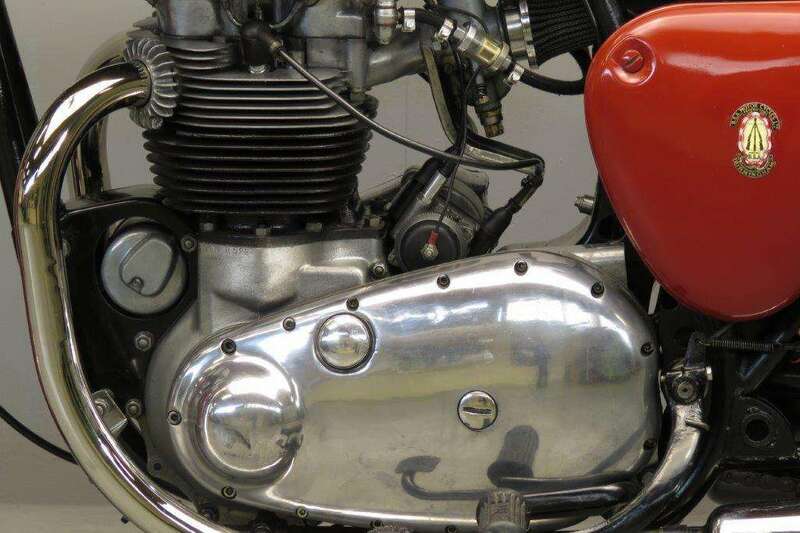 The one-piece forged steel crank benefited from BSA's advanced metals division as the rod journals were 'induction-hardened, ground & polished'. The A10 and Super Rocket also got 2-piece lightweight alloy connecting rods made of RR56 aluminum. 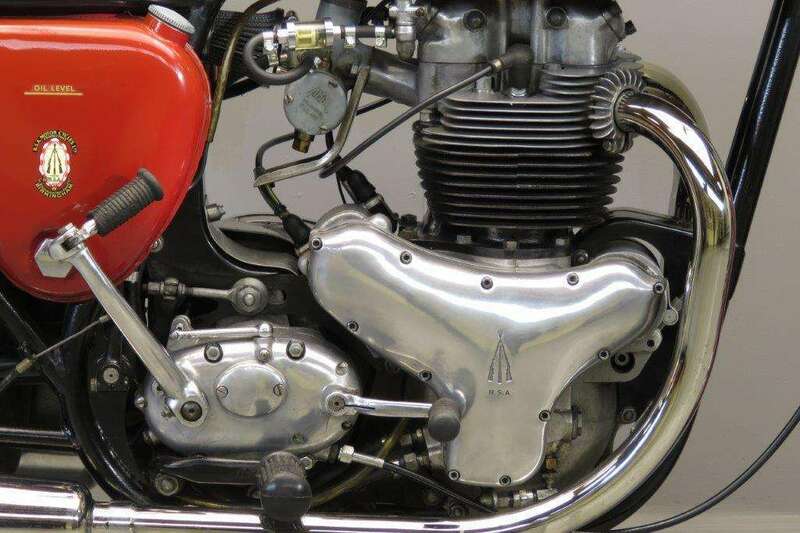 While the BSA A7 soldiered on with an iron cylinder head, the A10 got an all-new lightweight alloy head with a shallower valve angle, reworked finning for greater airflow & enhanced cooling & a single rocker box instead of two, as on the A7. This is probably the easiest & fastest way to differentiate the two. 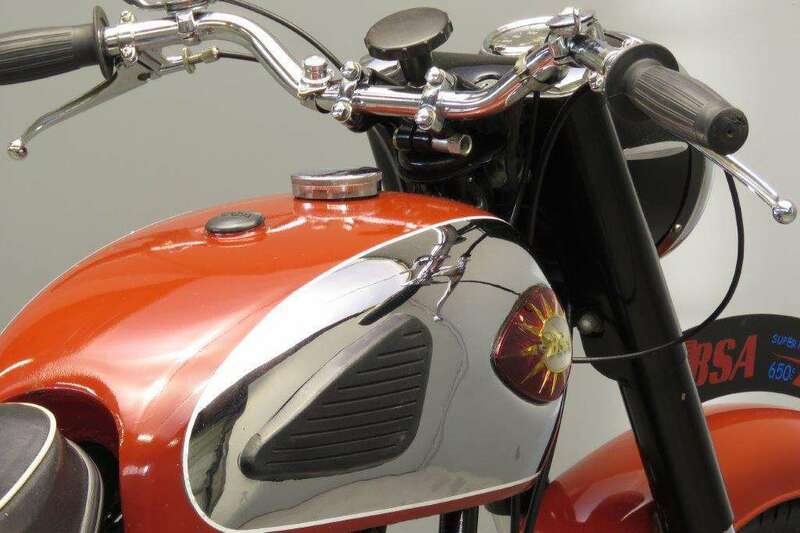 A BSA 500 A7 will have two rocker boxes & a BSA 650 A10 Super Rocket will have one big one. 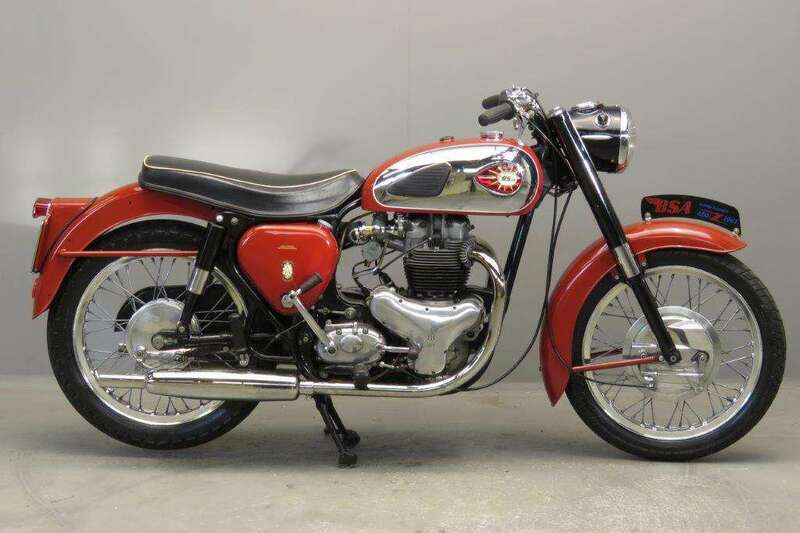 This 1956 BSA Super Rocket is in a very nice and well running condition .